Where I have been and what I have been doing. During 2004 and 2005 the company that was marketing my calls thought they were doing alright, but the quality was not there. The calls were not put together right. So we moved from Oregon to Missouri, closer to the plant, so I could help. Wilma also wanted to be closer to her mother who was getting up there in years, ninety to be exact. We lived near Moberly where her mother lived. After the move, the first company sold out to another company without my ok, and for the next two years I was in a fight to get it back. In 2009 we started working to move the company forward. 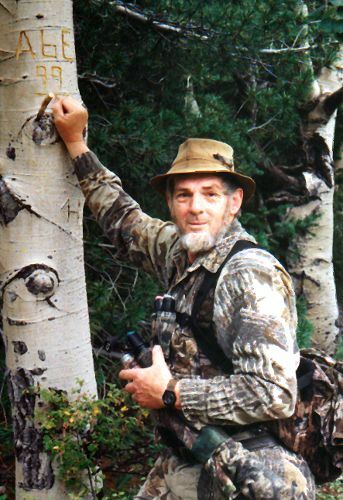 I have also been guiding in Colorado the past few years, and in 2010 I guided Hank Parker and the crew of his TV show, 3D Outdoor. Our online store was closed for quite some time as we worked out the logistics of our new marketing channels. In the summer of 2013 we reopened the online store, selling replacement latex, diaphragms, and other parts and accessories, and as of 2017 we are selling all Abe & Son products again!